Don’t waste you time or your wheel to a nylon pipe cleaner from your local hobby or hardware store. 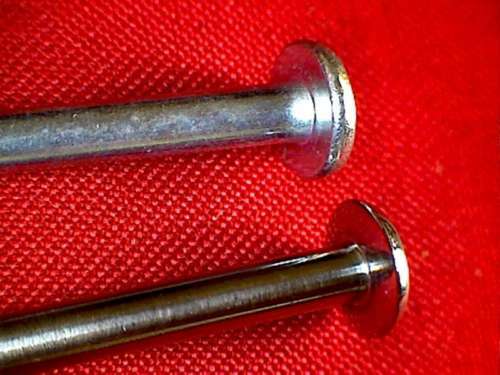 Magnified pictures show that more than likely you will damage your inner wheel because there is just not enough material to protect the metal core. 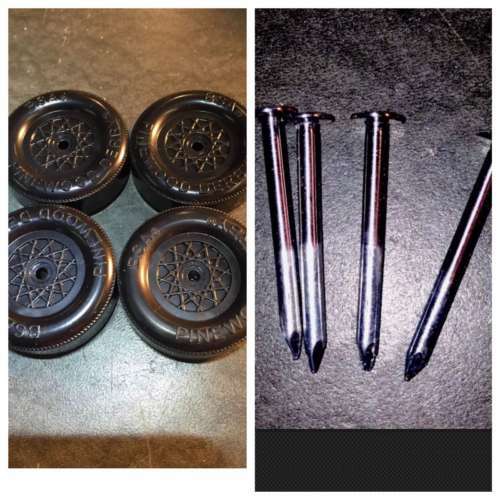 It will rub scratches or possibly even melt your wheel because of friction. Nylon does not hold on to the dry lube like a cotton buff. 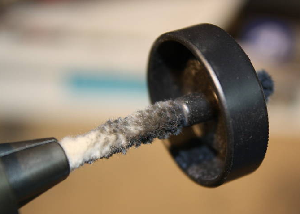 Not only are you not getting the best polishing for the Bang, you could be damaging your wheel. 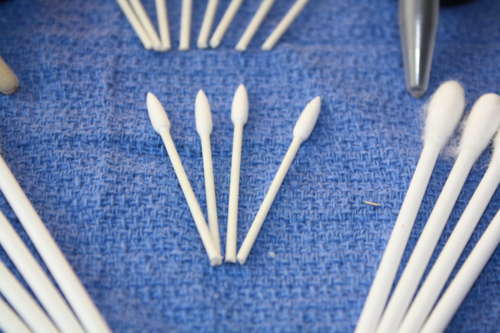 You get 12x Cotton Applicators. Should be enough for 6-8 cars. Check out the pics. Holds tons of lube! Check out the pics. My Friends here in San Antonio made this video a while back! Shows how to use them. Thanks for the link!